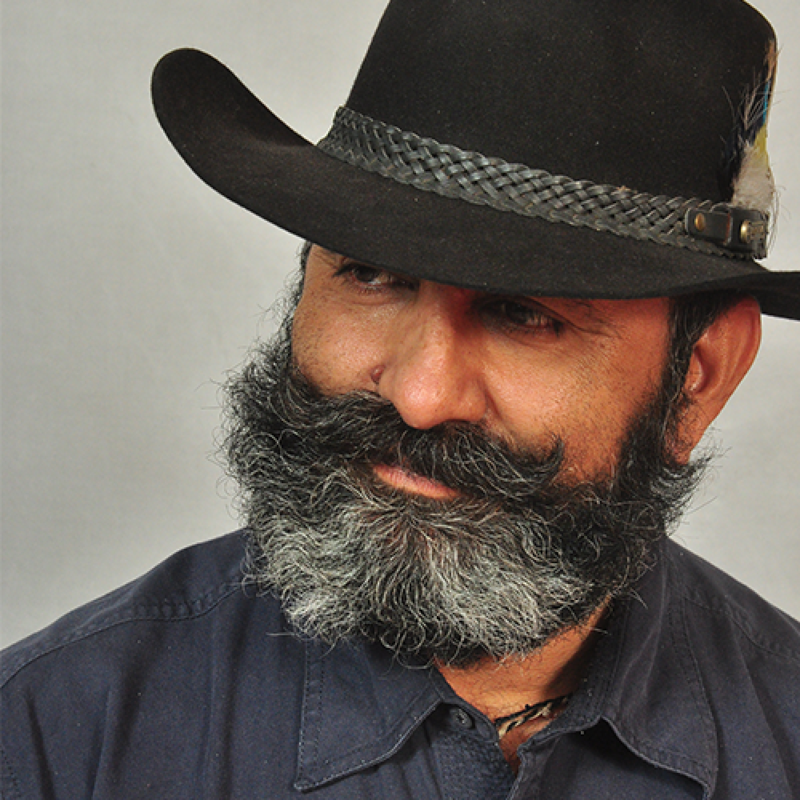 H Hemender Singh brings 21 years of experience providing services in the Travel and Tourism trade. Born in a noble culture-rich family of Rajasthan, he has a rich historical background. He specialises in high-end travellers like private charters, incentive groups, and ship cruises like Silver Sea, Regent etc. He has made visiting India an enriching experience for dignitaries like President of The United States of America, Mr. Bill Clinton; President of Iceland; Royal Families of Europe and England; student groups from Stamford University, University of Yale, University of Cambridge and Metropolitan Museum, New York, amongst others. India has a varied spread of mountains, valleys and plains that offer a wide selection of exciting camping grounds and recreational parks. In this journey, soak in the wilderness as we take you on an adventurous ride through India – on camel rides and jungle safaris. Live in chic tented accommodations in true “glamping style” where you can relax and enjoy the serenity of nature. This trip is specially curated for adventure enthusiasts, nature-lovers, trekkers and wildlife lovers. A range of recreational and exciting activities are organised, including a trip to India’s largest inland salt lake, the hunting grounds of the Maharajas of Rajasthan, coupled with sunsets in the wild and exotic local cuisine. Bring your adventurous side forward while you unwind in the lap of nature, reconnecting with yourself and bonding with each other, over bonfires and the call of the wild. Welcome to the national capital of India – Delhi. Get insights about the journey during the briefing session with Hemender Singh, your trip expert and enjoy dinner. Spend your day on a tour of the city. Take a rickshaw ride through the lanes of Old Delhi; visit Qutub Minar and Humayun’s Tomb; and drive past the colonial heritage of the city. Drive to Agra and visit the iconic Taj Mahal. Start your day by visiting Agra Fort. Then drive to Bharatpur, which houses one of the most famous bird sanctuaries in India, approximately 1.5 hours away. Later, take a train ride to Sawai Madhopur. A former hunting ground for the erstwhile Maharaja of Jaipur, Ranthambore National Park is in Sawai Madhopur district of Rajasthan. Take a jungle safari in the morning and afternoon. Proceed for a half-day excursion of the impressive Amer Fort (11km from Jaipur), from where the Hindu Rajput princes ruled over Jaipur. Soak in the magnificence of the fort as you ride up to it in a jeep. Take a morning tour of the city. In the afternoon, drive to Sambhar, approximately 1.5 hours away. Learn about contemporary Indian salt production as you take a trail down India’s biggest inland salt lake. In the evening, enjoy a camel ride. Start your day early and spend the morning bird watching, by the lake. 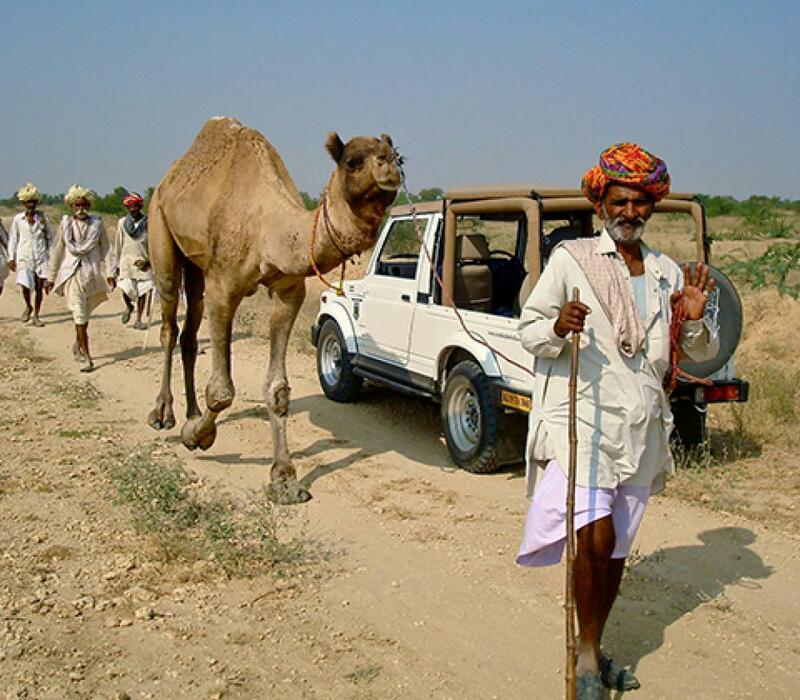 Later, enjoy a camel ride and then drive to Jodhpur, an approximately 5.5-hour drive. Savour lunch at Nimaj Palace en route. Jodhpur is the city of the brave Rathore princes. Spend your morning taking a tour of the city and enjoy a Tuk Tuk ride to the local market in the evening, followed by dinner at a restaurant overlooking the majestic Meherangarh Fort. Drive to Sar village, an approximately 1-hour drive. Get set to "glamp" in style at the eco-friendly Safari Camp. Visit a village and enjoy home-cooked authentic Rajasthani lunch and later, Rajasthani Barbeque for dinner. After enjoying your breakfast at the campsite, drive to Jodhpur airport, an approximately 1.5-hour drive, to fly down to Delhi. Spend your evening at leisure. After breakfast, transfer to the airport to board the flight to onward destination. All personal expenses such as beverages, laundry, telephone calls, shopping etc. 1.Upto 70 days prior to Journey - 10% cancellation fee shall be applicable. 2.Flights: A fee of US$ 55 per person, per sector shall be applicable along with any change in the ticket fare. 3. Trains: A fee of US$ 5 per person, per sector shall be applicable. 'force majeure' events - flood, fire, act of God, war or threat of war, riots, civil disturbances, terrorist activities, strikes, airport closure, technical problems with transport, alteration or cancellation of scheduled travel services. Most of the changes will be minor and we will advise you of them at the earliest possible date but occasionally there could be a major change closer to the departure date. We also reserve the right in any circumstances to cancel your travel arrangements. For example, if the minimum number of guests required for a particular travel arrangement is not reached, we may have to cancel it. In both conditions of change / cancellation, you will have the choice of either accepting the change of arrangements or cancelling your booked holiday and receiving a full refund deducting the taxes except where the major change/cancellation arises due to reasons of force majeure. In case of force majeure, we will refund you for all unutilised services after deducting taxes. During this journey, you get to experience the vibrant cultures, traditions and religions of India that have enthralled the world for years.